An appealing way to bring history to life in your classroom. Examine important events that shaped the history of the United States and the World. 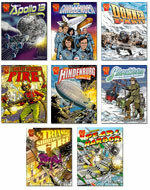 Graphic novel format paired with gripping stories of history's most compelling disasters make these books true page-turners. 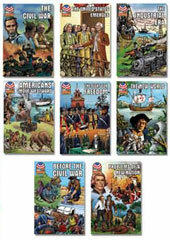 Readers of Graphic U.S. History books acquire content knowledge, vocabulary, and learning strategies as they read about topics they might otherwise avoid. 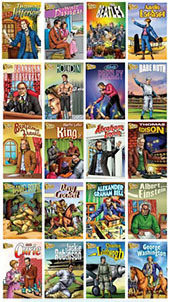 These engaging 32-page biographies teach students about historical figures, and are great for primary and secondary students.